The latest CBI/Pearson Education Skills Survey has shown that many construction employers believe finding employees for high and intermediate-skilled jobs is going to be difficult in the next few years. We look at how employers can respond to this and the important part recruitment agencies can play in this process. A new survey from the Confederation of British Industry (CBI) shows employers are concerned about their ability to recruit in future years. The Right Combination, CBI/Pearson Education and Skills Survey 2016, was published in July 2016 and worryingly, 69% of respondents feel skilled staff will not be available. In particular, the concerns of organisations related to their worries about being able to find the necessary employees for highly skilled jobs as well as for those positions that require intermediate skills. Conducted between April and May 2016, the survey is the result of responses received from almost 500 different organisations, encompassing companies that are a range of sizes. An authoritative guide to trends in business opinion, the most popular respondents were from the Manufacturing and Construction industries, with Engineering also well represented. At 31%, almost a third of respondents were from SMEs. The survey covers the thoughts of businesses on graduates, apprenticeships, preparation for school leavers as well as worries about skills. A dearth of skilled workers is the greatest concern, with 77% of businesses accepting they will have more job vacancies in the next few years that require higher level skills. Many respondents from this (construction) industry anticipate demand for people with higher skills to increase hugely. Josh Hardie, Deputy Director-General of CBI, accepts the skills shortage is "already biting" but believes there is a commitment to preventing it. He said: "Skills have always been a vital currency and this is particularly pertinent as the UK carves out a new economic role in the world and beings the process of leaving the European Union. "The rapid technological transformations affecting our jobs and workplaces make skills ever more critical - when someone enters the workforce and throughout their career. "Shortages are set to grow and their impact is already biting. This is particularly acute in some sectors and at higher levels where they are acting as a brake on growth. "Within companies there is a widespread recognition of how important it is to invest in development and progression. Doing so helps to address specific skills gaps, supports business productivity and employee engagement as well as the performance of the economy." There is little doubt that, from the findings of this survey, many are worried about a widening skills gap. A caveat in all of this is the fact the survey was undertaken in the two months before June's EU referendum, which is likely to have caused uncertainty. Skills have always been a vital currency and this is particularly pertinent as the UK carves out a new economic role in the world and beings the process of leaving the European Union. However, the statistics show companies are anxious not only about filling vacancies that require higher level skill workers, but also for those of intermediate level along with jobs that require leadership and management skills. It's only with vacancies that require lower skills where employers seem confident about being able to fill. Demand is confirmed in the report, which says: "Employer demand for more people with increased levels of skills in the next three to five years is expected to be strong across virtually all sectors of the economy." 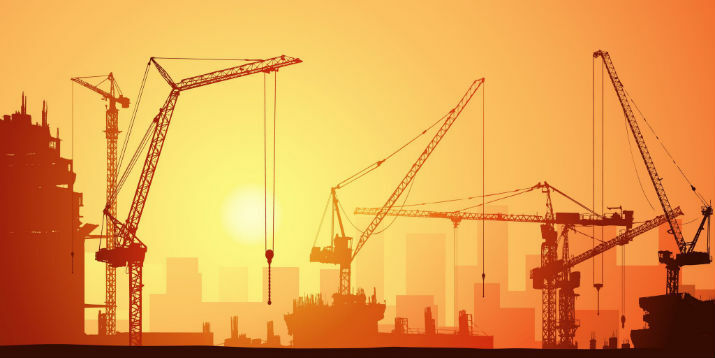 These fears are no surprise, according to construction recruitment agency Right 4 Site Ltd, whose Director, Mark Hudson, said the industry was one of the first into, and last to leave the recession - a five-year spell that saw school leavers look at other careers. The shortage has been worsened because the recession also resulted in experienced skilled workers leaving the industry. He said: "We are now suffering from this as there is a void of trained and skilled workers." Shortages are set to grow and their impact is already biting. This is particularly acute in some sectors and at higher levels where they are acting as a brake on growth. Right 4 Site believe the current level of supply and demand in the industry is making it harder to recruit workers for higher skilled positions because these candidates are in a position where they can "auction" themselves to the employer who will pay the most. It is not an easy problem to navigate around but Mark Hudson says agencies need to be proactive in marketing their clients' vacancies, rather than only getting employers to increase the pay they offer. "There are many other factors that make a job or company attractive including reputation, longevity of work, hours of work, overtime, variance of work, location and prestigious contracts. Every job should have at least one element that is attractive, otherwise how is the recruiter going to market the job?" Employers who promote their company to prospective employees should see some vacancies filled, but it's not a long-term solution. It is heartening however, to see that construction is the sector in CBI's survey that displayed the most commitment to increasing its investment in training. In the longer term, the commitment to hiring graduates should help to fill gaps. According to the research, 29% of businesses increased their graduate intake in 2015, continuing the trend from 2014. There are many other factors that make a job or company attractive including reputation, longevity of work, hours of work, overtime, variance of work, location and prestigious contracts. Every job should have at least one element that is attractive. The other obvious way in which construction can be safeguarded from shortages in future is by commitment to apprentices. It is something that needs attention because although more than 70% of businesses already have apprenticeship programmes, 45% of those surveyed anticipate difficulties in recruiting apprentices in the next three years. How can construction companies benefit from apprentices? It comes down to investment, according to Mark Hudson. The survey shows that organisations are funding investment but this needs to continue so that trained apprentices don't look elsewhere for work. Mark said: "Once the apprentices are trained, the problem for the employers is retaining them because if other companies don't follow suit they will poach the best talent from their competition. An apprenticeship is an investment and needs to be protected." An even better way to prepare for and secure a company's future is by appealing to apprentices of the next generation. Mark Hudson is a strong believer of picking apprentices "at source." This should be done in schools across the country, which, Mark believes, will "gain access to a bank of potential talent." It is heartening however, to see that construction is the sector in CBI's survey that displayed the most commitment to increasing its investment in training. "Companies should consider visiting a school or college and providing a masterclass. For example, they could come in and take a class and show some real skills such as building and fitting a door, building a wall or plumbing a sink. If the interest is there then successful apprenticeships will follow." There are certainly challenges facing the construction industry, along with many others, following the findings of the CBI survey. It is though, encouraging to see that investment is continuing. Solutions to the problems are available, and recruitment agencies have shown they can help to advise and lead the way where possible. What is fairly certain however, is that in order to have the best impact, these solutions need to be widespread, and not just adopted by a few employers or recruiters. This is surely the best way to bridge the skills gap in the future.